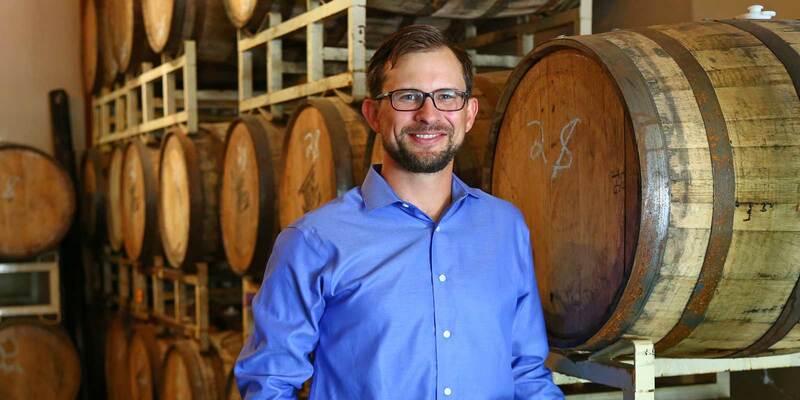 Bryan Carpenter ’07 (BAC/BBA) is enthusiastic about suds. That makes perfect sense, given that he’s the self-proclaimed “craft beer CPA,” using his expertise and training to benefit the industry. “I knew I wanted to be a CPA, but I also wanted to follow my own passion,” he explains. For Carpenter — a home brewer who dreams of one day opening his own brewery — getting involved with the exploding local craft beer community was a perfect fit. “In 2008, craft beer was really starting to take off, and San Diego was definitely a hub,” he recalls. It was the ideal moment for Carpenter to combine his enthusiasm for microbrews with his interest in business development, particularly when the firm he works for, San Diego-based LevitZacks, encouraged him to explore working with, and mentoring, folks in the craft beer scene. Today, Carpenter also serves as treasurer of the San Diego Brewers Guild, recently graced the cover of The Journal of Accountancy and keeps his social media feeds active in promoting his own niche. “As far as my online presence, it’s not so much about likes or retweets, it’s more about building a robust online presence,” he explains. With a succinct slogan (“Expanding your palate to include the bottom line”), and a preference for brown and sour ales, he’s living the dream. And for those of us who wouldn’t know a mash from a wort? Carpenter — who grew up in Jackson Hole, Wyoming, and has a deep-seated affinity for the outdoors — chose USD so that he could experience what it would be like to live near the ocean.